Although the term ringworm does imply that, it has something to do with a worm. It is not so. Ringworm is rather a fungal skin infection and caused due to one of the fungal germs that infect nails, skin and hair. Apart from conventional treatments, you can also try some reliable natural remedies for ringworm listed below. Ringworm is contagious, and you can catch it when one person touches the other one with an infection. Ringworms can infect you even if you touch items that an infected person has come in contact. The items include towels, chairs, tables, desks, clothes, bed linens and any other thing having made contact with a person infected with ringworm. Ringworm not only affects humans but also is found in domestic animals including cats, dogs, guinea pigs and cattle. These animals can pass the fungal infection on to you when you touch them. Such incidences are more frequent in children who play and cuddle the pets than adults. Farm animals such as guinea pigs and cattle too suffer from fungal infections on their skins. These can also pass on the ringworm to you. Sometimes merely touching a farm gate through which the animals regularly head out can make you catch the infection. Although it is relatively rare, you can also catch ringworm from the soil. Whatever the cause of ringworm infection may be, you can always treat those using natural remedies for ringworm. How can you tell that you are suffering from ringworm infection? The infection first affects a small area and then spreads outwards. When a typically rounded, inflamed and red patch develops on the skin, it is an indication that you have caught ringworm infection. The center is paler while the outer edge is inflamed and scaly. 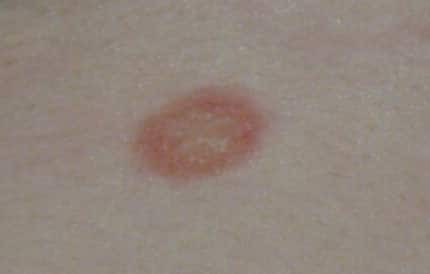 It makes the ringworm site looks similar to a ring with an outer edge that gradually keeps on growing. Depending upon the extent of infection you have caught, the symptoms may develop in only one body area or many. If you have caught severe ringworm infection, you may have multiple patches of ringworm all over your body. The rash sometimes is mildly irritating, itchy and inflamed. Depending upon the type of fungus causing the infection the rash may vary. Many times the patch may look almost similar to skin rashes just like psoriasis. Ringworm, when left untreated, can cause several complications. It can spread all over the body causing extreme discomfort. 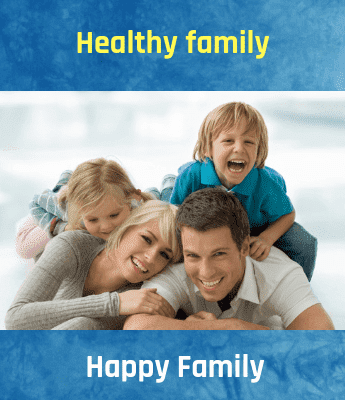 however, it is also important to consult your caregiver for perfect diagnosis of the condition. Tea tree essential oil is rich in antiseptic and anti-fungal agents and is helpful in treating various skin infections. It is widely recommended for treating fungal infections and decreasing the effectiveness of infection. Take a cotton ball and soak it in the tea tree oil. Squeeze the excess oil and directly apply the ball on the affected areas. Repeat the process three times a day for faster results. Warming the oil to your body temperature ensures faster absorption and recovery. Garlic is loaded with an anti-fungal agent, ajoene that helps in treating different kinds of fungal infections such as ringworm. Its healing properties cure the ringworm patches effectively when used consistently for a few days. Peel the cloves and cut them into slim slices. Cover the affected areas with these slices. Secure those using a bandage wrap around it. Leave it overnight to get desired results. You can also use thick garlic paste and apply for better results. Coconut oil has healing properties and helps in curing the ringworm wounds. The oil provides relief from itchy skin and makes the surrounding outer area smooth and soft. Take warm coconut oil in a bowl. Soak cotton ball and drain all the excess oil. Apply oil with the ball on affected areas. Leave the oil overnight for better results. It will help eliminate the residue and build-up of infection. The combination of jojoba oil and lavender oil makes the most soothing and safest antiseptic concoctions effective in healing and eliminating fungal diseases. You can always use lavender oil alone for treating ringworm, as it is rich in antifungal properties. Studies indicate that lavender oil not only stops the growth of fungal infection but it inhibits its further development. Take a teaspoon of jojoba oil and mix it with a drop of lavender oil. Leave it overnight for faster results. Since lavender oil acts quickly, do not use it excessively if you are not using it in combination with jojoba oil. Mustard seeds are one of the best natural remedies for ringworm. These are readily available and give results fast. Soak a handful of mustard seeds for around an hour in water. Drain and blend it into a thick paste. Apply the paste to the affected areas to get relief from irritation and itching. With these effective natural remedies for ringworm, you can get relief from the scaly and irritating fungal infection patches at home. In recent times, one of the most common conditions affecting a number of people in our society is a bladder infection, and most women's are more prone to this infection.